Filtering of the blood by machine. When individuals experience KIDNEY FAILURE, the only recourse to ongoing life is either kidney dialysis or a kidney transplant. 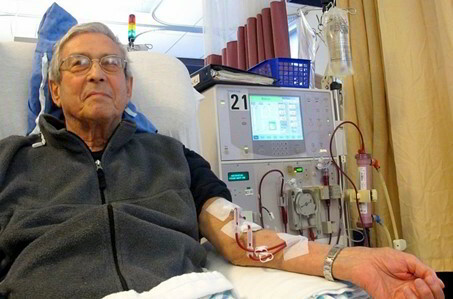 Dialysis may be handled at a dialysis facility or, sometimes, may be supplied at home. When patients have a process called hemodialysis, they go to a dialysis center three times weekly for a few hours every time, and a machine filters their blood. Patients can have peritoneal dialysis carried through in their own houses; in this instance, fluid is put into the abdominal cavity to wash out the toxins and then is emptied. This process can be done always or overnight.